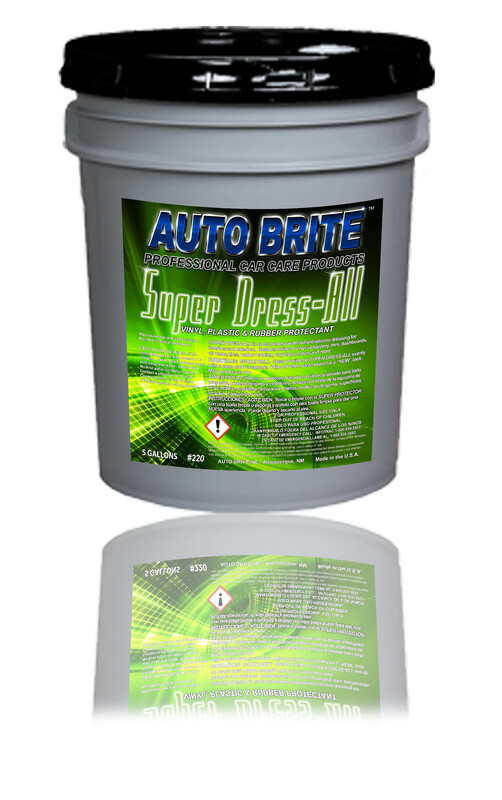 Super Dress-All - An all purpose water based silicone dressing for interiors and exteriors. Restores shine to vinyl upholstery, trim, dash boards, air vents, tires, rubber moldings, vinyl tops,hoses and more. Also Available in 1 Gallon.